The Awful Truth (1937) - Slapstick | Bristol's Silent Comedy Festival. 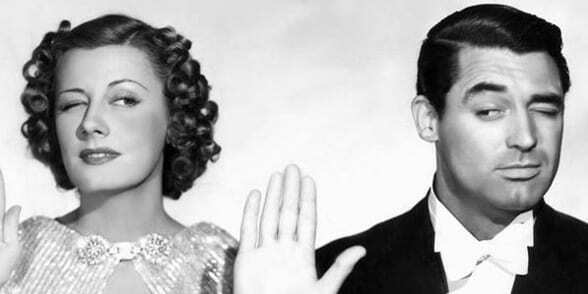 Bristol’s legendary Cary Grant teams with screwball comedy’s most underrated actress, Irene Dunne, in the film that broke him as a romantic lead. Named as the “slapstick prince charming” by critic Pauline Kael, for his marriage of elegance and physical comedy, Grant stars in the definitive, Oscar winning comedy of the 1930s. Leo McCarey, a veteran of Slapstick comedy (Sherlock Jr., Duck Soup), directs this vaudeville team. Introduced by stand-up comedian Lucy Porter. In Partnership with the Cary Grant Comes Home for the Weekend Festival.